Not exactly a Templar site as such it has one Templar artefact. 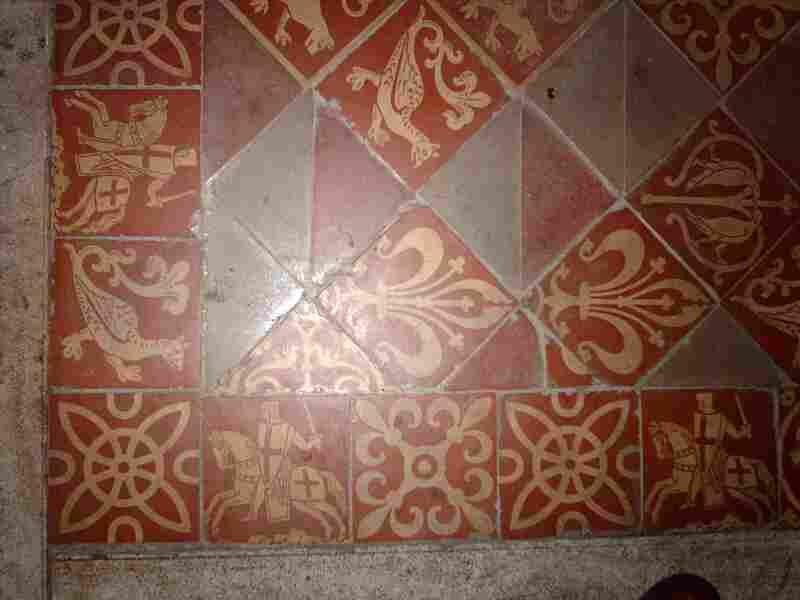 In St Georges Chapel are some 14th century tiles remaining which may depict a Templar knight in armour. A king is also represented, perhaps King Richard I in combat with Saladin.